Apple Store has been down since late yesterday and a lot of folks have been keeping their credit cards ready for new products. Well, Apple has just upgraded Mac minis and MacBook Airs featuring the latest Sandy Bridge processors and Intel’s speedy Thunderbolt I/O technology. As a bonus, Cinema Displays have been refreshed with Thunderbolt technology as well. 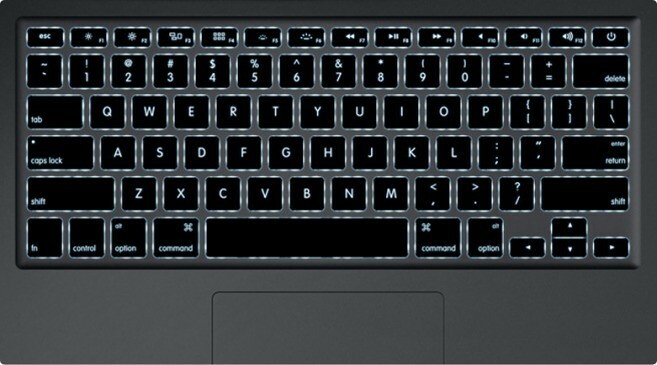 In line with 9to5Mac’s report, the new MacBook Air family finally features backlit keyboard. Just like before, the new MacBook Airs come in 11.6-inch and 13-inch flavors, each is available in baseline, more powerful and build-to-order flavors. The base line 11.6-incher includes a 1.6 GHz processor, 2GB RAM and 64GB of flash storage and the pricier model doubles RAM and storage. Note: Because the memory is soldered onto the motherboard, you must decide on RAM at purchase time. The same goes for storage, configurable only at the online Apple Store. The entry-level 13-incher sports a 1.7 GHz processor, 4GB RAM and 128GB of flash storage while the more expensive 13-inch MacBook Air doubles the storage to 256GB. Build-to-order options for both 11.6-inch and 13-inch models include a 1.8 GHz chip, 4GB RAM and 256 GB of flash storage for 13-inchers. Note that a 1.8 GHz processor and 256GB flash storage upgrades are the firsts for the 11.6-incher. All models run on Intel’s HD Graphics 3000 processor with either 256MB (11.6-inch machines) or 384MB (13-inchers) of DDR3 SDRAM shared with main memory. Another thing worth mention: The built-in FaceTime camera has not been upgraded to high-definition. 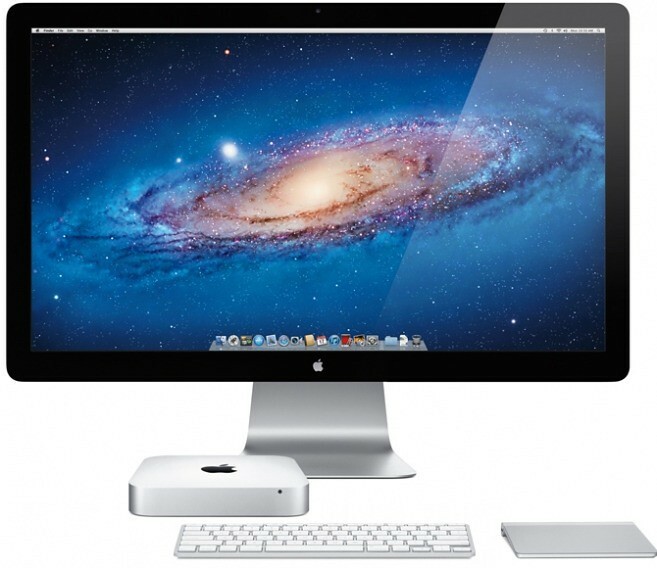 Go past the break for information about the new Mac minis and nice press shots. The new Mac minis include Sandy Bridge Core i5 and Core i7 chips, new AMD Radeon HD 6630M discrete graphics and Thunderbolt I/O, delivering “up to twice the processor and graphics performance of the previous generation”. This time around, however, the minis come without an optical disc drive. Instead, you can access the optical drives on other PCs and Macs or hook up an external MacBook Air SuperDrive if you’re feeling old century. The new lineup has the same aluminum design like its predecessor and measures 7.7-inches square and are 1.4-inches thin. 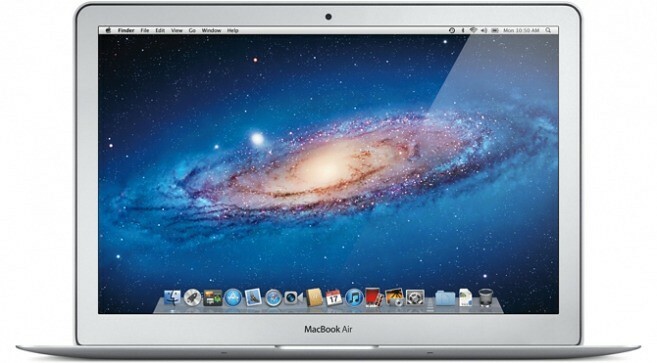 The entry-level model includes a 2.3 GHz dual-core Intel Core i5 with 2GB RAM and a 500GB hard drive storage. The pricier machine has a 2.5 GHz dual-core Intel Core i5 processor, 4GB RAM and a 500GB hard drive, with build-to-order options including a 2.7GHz dual-core Core i7 processor, up to 8GB RAM and a 750GB hard drive with an option to add or replace with a 256GB solid state drive. The server variant with Lion Server included runs a 2.0 GHz quad-core Intel Core i7 processor and comes with 4GB RAM and dual 500GB hard drives, with build-to-order options including 8GB RAM, two 750GB hard drives or up to two 256GB solid state drives. Customization options on all models include up to 8GB RAM, a faster 7200 RPM hard drive and a 256GB solid state drive. The entry-level Mac mini retails for $599. The more powerful model will set you back $799, or $999 for the server version . Both machines are available for order today via the online Apple store and in stores tomorrow.